Robin Zander - Countryside Blvd. Sky Ferreira - As If! Radiohead, formed in 1985, has seen worldwide success since their debut studio album, "Pablo Honey," released in 1993 and their single "Creep" exploded across the airwaves. In 2005, they were even ranked at number 73 on the list of "The Greatest Artists of All Time" in Rolling Stone Magazine. The online release of "The King of Limbs" on February 19 was given four stars by Rolling Stone and an eight out of ten by Spin Magazine. SoundStage Direct will be selling the 12-inch vinyl album when it becomes available on March 28th, and is currently reserving pre-orders. The CD will also hit stores the same day. Radiohead will also be releasing a "newspaper" edition on May 9th. This edition will include both the CDs and two clear 10" vinyl records in a purpose-built record sleeve. It will include large sheets of artwork, 625 tiny pieces of artwork, and a full-color piece of oxo-degradable plastic to hold it all together. The "newspaper" edition will also be released with a digital download of the album. The new album, "The King of Limbs", is the first album since the band independently released "In Rainbows" in 2007. It was first released digitally and fans were able to set their own price for the download. When it was later released in physical form, it was praised by critics and topped the charts at Billboard and held a position there for 28 weeks. The artwork on the album was designed by Stanley Donwood, and pays homage to Northern European fairy tales and their theme of symbiotic relationships with forests and woods. "It's very much about natural forms. I'd heard something about the northern European imagination, in the sense of all our fairy stories and mythical creatures, they all come from the woods," said Donwood. "Me and Thom (Yorke) were working on these ideas of strange, multi-limbed creatures that are neither malevolent or benevolent, they're simply there, part of the living spirit of the forest. That's come through into all of the work." The name "The King of Limbs" is in reference to a 1,000 year-old oak tree in Wiltshire's Savernake Forest, three miles from Tottenham House where segments of 'In Rainbows" were recorded. Though the tree is not seen anywhere in regards to the album, it was an inspiration, and the phrase also appears in the 23rd chapter of the Qu'ran. On February 18th, Radiohead released the track "Lotus Flower" and a music video for the song on their blog, and fans quickly began buzzing about the new eight track album. Los Angeles Times music blogger, Ann Powers said that it "can be heard from several different angles", and "Fans and critics have already been registering wildly divergent reactions: Some think it's one of the band's best efforts; others find it too low-key or similar to previous work; a few consider it awfully gloomy, and a few others wish it were less abstract." Nevertheless, Radiohead is a band that has always drawn in their fans and at SoundStage Direct, they expect no different. SoundStage Direct, LLC is an online independent store based in Doylestown, Pennsylvania, with the largest selection of new releases and vinyl reissues online. We have vinyl LPs in every genre and in a variety of formats available ready to be shipped right to your doorstep. We also have some amazing closeout deals available at our LP outlet that are worth checking out! As a special bonus, the first three who email me at rbenson30@wi.rr.com will get a $10 Gift certificates at SoundStageDirect! Just add 'Radiohead' to the subject line and be one of the first three!! As regular manufacturers of vinyl, Spinefarm Records are delighted to be celebrating Record Store Day on April 16, 2011 with six seven-inch singles that feature tracks from some of the their key artists. All of the singles will be strictly limited to 300 copies and will come in a Spinefarm Records house bag specifically designed for the event. RAMMSTEIN - "Waidmann's Heil" / "Liebe Ist Für Alle Da". Both tracks are taken from the Berlin band's current "Liebe Ist Für Alle Da" album. FIVE FINGER DEATH PUNCH - "Falling In Hate" / "Far From Home". Both tracks are taken from the U.S. band's current "War Is The Answer" album, now approaching gold status at home. CHILDREN OF BODOM / KILLING JOKE - "Northpole Throwdown" / "Fresh Fever From The Skies". The COB track is taken from the Finnish band's just-released "Relentless, Reckless Forever" album, while the KILLING JOKE track comes from their latest "Absolute Dissent" release. HELLYEAH / JETTBLACK - "Pole Rider" / "When It Comes To Lovin'". The HELLYEAH track is taken from the U.S. crew's second "Stampede" album, while the JETTBLACK track is taken from the U.K. band's "Get Your Hands Dirty" debut album. JETTBLACK will be taking time out from the recording of the follow-up to "Get Your Hands Dirty" to sign copies of the seven-inch single and play an acoustic set at The Rock Box in Camberley (Surrey, England) at 1 p.m. on April 16. HELLOWEEN / APOCALYPTICA - "The Sage, The Fool, The Sinner" / "Bring Them To Light". The HELLOWEEN track is taken from their latest "7 Sinners" album, while the APOCALYPTICA track (featuring GOJIRA's Joe Duplantier on guest vocals) comes from their most recent "7th Symphony" release. THE ANSWER - "Rock 'n' Roll Outlaw" / "Fooled Me" (demo). Both tracks are exclusive to this release. "Rock 'n' Roll Outlaw" is a cover of the ROSE TATTOO classic (1978), while "Fooled Me" is a demo recording of a track at one point in contention for the Irish band's third studio album, currently being mixed. The dB’s are releasing a limited edition 45rpm single of “Picture Sleeve” b/w “Write Back” on Record Store Day. The former is a co-written by Chris Stamey and Peter Holsapple, and the flip is Will Rigby’s first song with The dB’s. They’re from the forthcoming album—their first with the original four guys in thirty years. The db’s will be performing on Record Store Day at Criminal Records in Atlanta, with Fan Modine. pitchfork.com has an indepth interview with all that is jack white, check it out, well worth reading! Like a new father showing off his newborn child, Jack White was all smiles as he lead me on a tour of the Third Man Rolling Record Store, his Third Man label's new vinyl-selling emporium on wheels. Making its public debut at SXSW, the Rolling Record Store was parked in a parking lot at the corner of 4th and Colorado in downtown Austin, with a line around the block to check it out. that's some cool cover art! U.S. melodic metal act ARTIZAN has set April 29 as the release date for its full-length debut, "Curse Of The Artizan", via the German label Pure Steel Records. 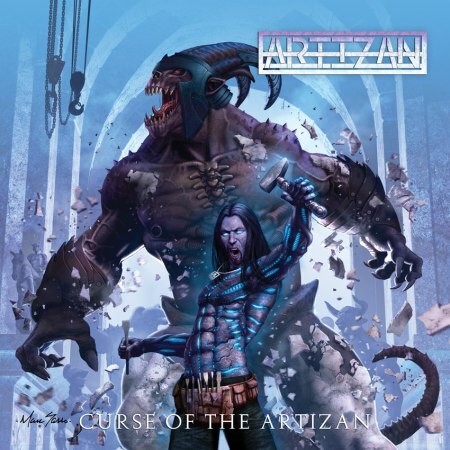 The effort was recorded with legendary producer Jim Morris, who has previously worked with ICED EARTH, DEATH, CANNIBAL CORPSE and JAG PANZER, among many others. THE world’s oldest record shop teamed up with a local music lover to hold a special silent event yesterday. Spillers Records and Steve Shepherd teamed up to hold the first Real Record event in the city centre. The event invited vinyl fans to the O’Neills pub, on Trinity Street, to listen to Captain Beefheart’s 1970 album Lick My Decals Off, Baby! and Frank Zappa’s 1969 album Hot Rats. Mobile phones were switched off and conversation not allowed during the music. a great read with some great insights from record lovers! NEW YORK -- In most ways, Sarah McCarthy is your average high schooler. She has a job, college plans, but also a peculiar passion for a 16-year-old: She's a vinyl junkie. That's right, analog. And none of that hipster new stuff or a USB-ready turntable from Urban Outfitters. To this senior from Centreville, Md., there's nothing like the raw crackle, the depth of sound, her delicate hand on diamond-tipped stylus to spin from the dusty stash of records she found in the basement of her grandfather - yes, grandfather. "God Bless America" was recorded by Kate Smith in 1939. In 1952, the Cleveland Arena was the site of what will become recognized as the world's first major Rock 'n' Roll concert. With over 10,000 people inside and another 20,000 waiting outside, Alan Freed was set to broadcast the event 'live' over WJW radio. Paul Williams and His Hucklebuckers were playing their first song when city officials decided to shut the proceedings down, citing fire code violations. Doors and windows were smashed, a few fights broke out, but no one asked for their $1.75 admission back. In 1964, the Beatles replaced one Billboard chart topper with another when "She Loves You" took over from "I Want To Hold Your Hand". In 1973, the BBC banned all teenybopper acts from appearing in person on Top of the Pops after a riot following a David Cassidy performance. In 1981, Although they had been making records for ten years, REO Speedwagon enjoyed their first taste of success when "Keep On Loving You" became the top tune in the US. The band would go on to place twelve more songs in the Top 40. 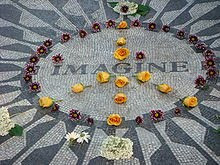 In 1984, Yoko Ono opens Strawberry Fields, an area in New York's Central Park dedicated to the memory of her late husband, John Lennon. In 1987, 35 year-old Dean Martin Jr. of Dino, Desi and Billy, died when his F-4 Phantom fighter-jet crashed into California's San Bernardino Mountains during a snowstorm about 100 kilometers east of Los Angeles. Dino was serving in the Air National Guard at the time. He was married and divorced from ice skater Dorothy Hamill and actress Olivia Hussey. Madonna's album "Like A Prayer" was released in 1989. Leo Fender, the inventor of the Telecaster and Stratocaster guitars, died from Parkinson’s disease in 1991. He started mass producing solid body electric guitars in the late 1940s and when he sold his guitar company in 1965, sales were in excess of $40 million a year. In 2002, John "Speedy" Keene, vocalist and drummer for Thunderclap Newman died at the age of 56. The band's biggest hit came in 1969 with "Something In The Air". In 2006, three South African women won a six-year court battle giving them 25% of all past and future royalties from the song “The Lion Sleeps Tonight,” composed in 1939 by their father, Solomon Linda. A cleaner at a Johannesburg record company when he wrote it, Linda received virtually nothing for his work and died in 1962 with just $25 in his bank account. It is estimated that the song, recorded by Pete Seeger, The Karl Denver Trio (as “Wimoweh”), The Kingston Trio, The Tokens and R.E.M., had earned $15 million from its use in Disney’s The Lion King alone.